April is LGBTQI Awareness Month! Multiple groups, offices, and individuals contribute to LGBTQI Awareness Month. The current list of offerings is below. Please contact the sponsoring group directly for further information. 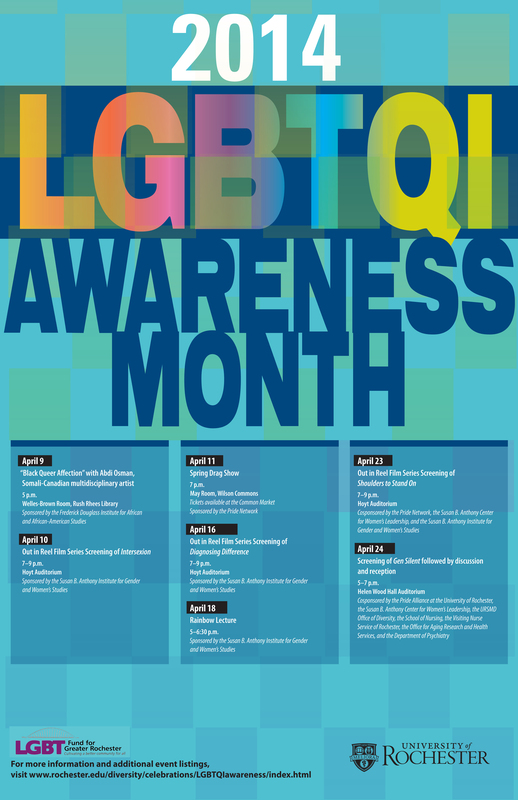 We hope you will take part in the 2014 LGBTQI Awareness Month events at the University of Rochester!